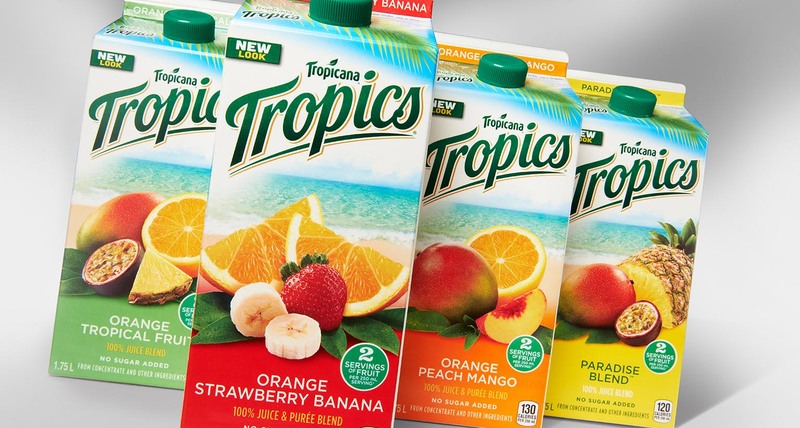 PepsiCo Beverages commissioned Shikatani Lacroix to refresh the 2008 design we had developed for the Tropicana line extension Tropicana Tropics. 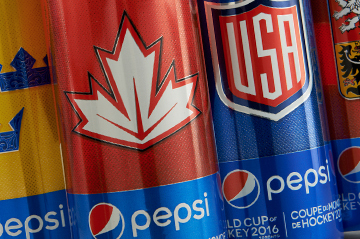 Tropicana is one of PepsiCo Beverages Canada’s most successful brands and has maintained its premium position against other national and store brands. 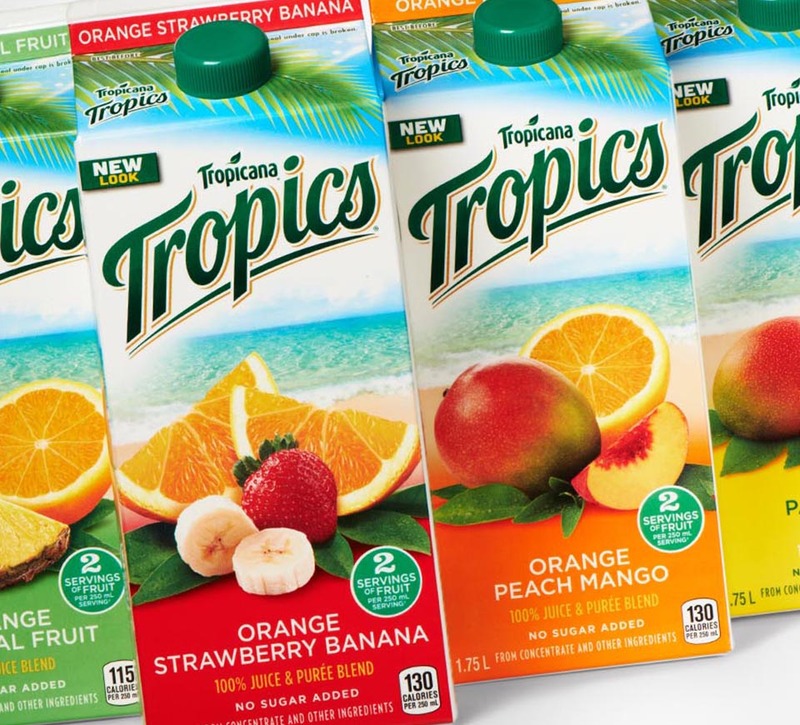 A key pillar of Tropicana’s success is its ability to leverage its brand equity in the juice category, which provides an opportunity to capitalize on a wider range of offerings. 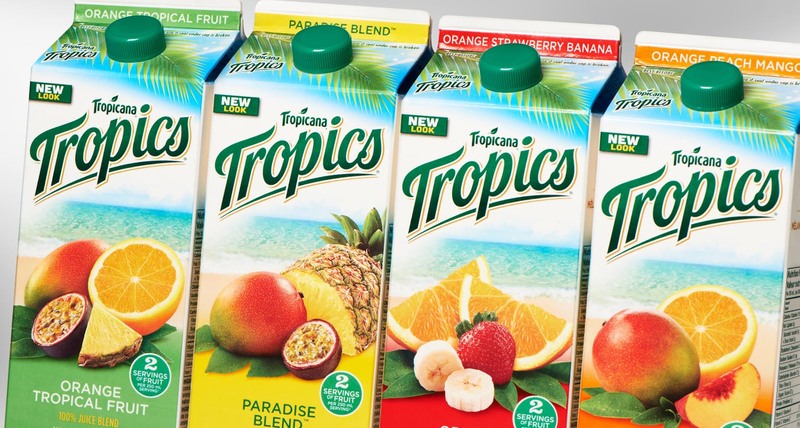 As part of its continued focus on growth, PepsiCo Beverages Canada wanted to refresh the 2008 design Shikatani Lacroix had developed for the Tropicana line extension Tropicana Tropics. 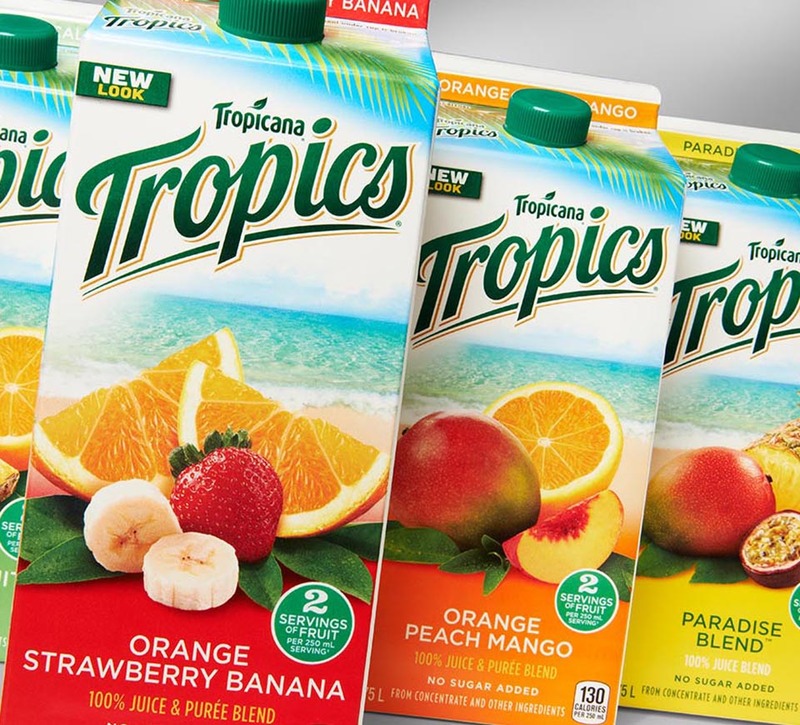 We had to ensure the new packaging stood out from the other Tropicana families, but still aligned with the rest of the Tropicana portfolio. 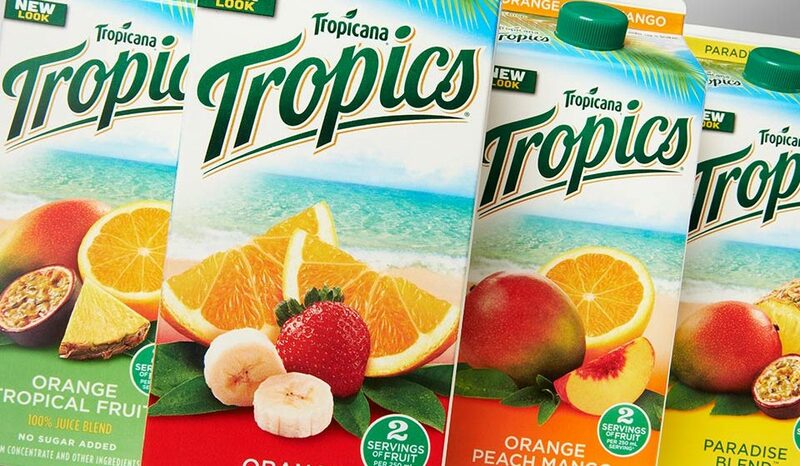 The primary challenge was to develop a brand platform that reduced Tropics’ association with the Tropicana Pure Premium master brand. Another challenge the design team faced was to evolve the definition of “tropics,” which was a critical and differentiating dimension of the brand’s equity. 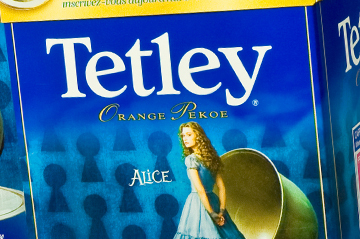 Shikatani Lacroix also had to maintain the creative integrity of the packaging while making it compliant with Canada’s bilingual packaging regulations. 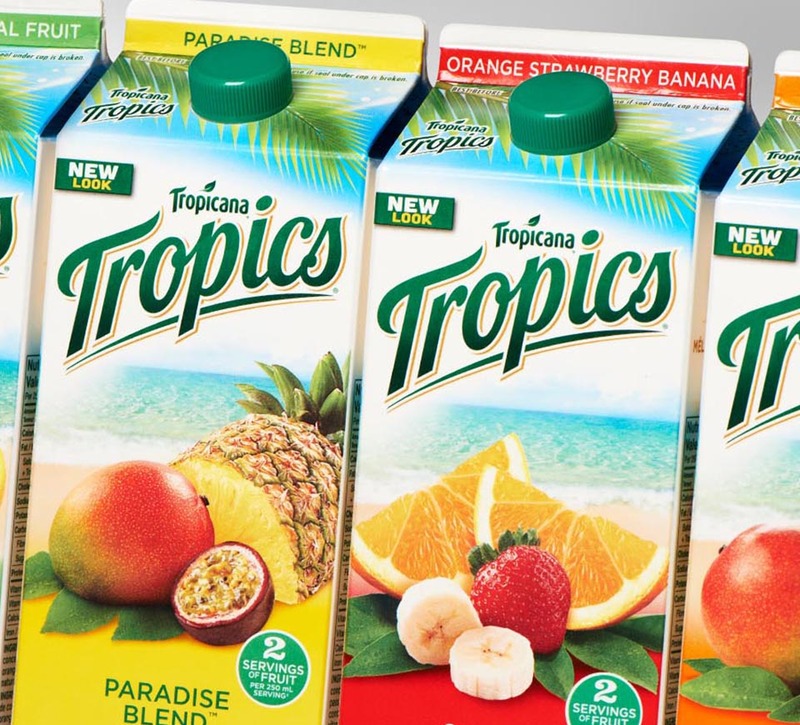 The new design had to provide greater differentiation from national brands and private label competitors, which had started emulating the key brand equities of Tropicana Tropics. 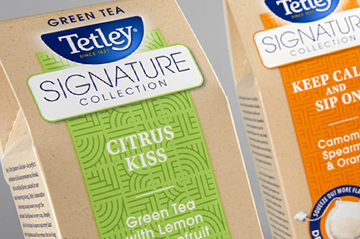 Research indicated that consumers were attracted to the brand’s tropics theme. 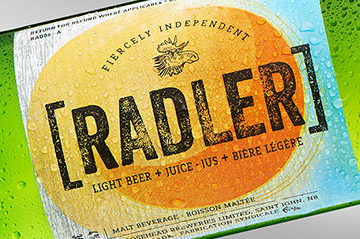 To influence purchase intent, Shikatani Lacroix designed a new, larger Tropics logo and placed greater emphasis on tropical-inspired imagery. 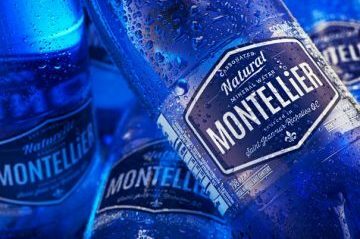 The blue ocean and sandy beach create strong billboarding for the various varieties when displayed together on shelf, while strong color blocking helps distinguish the flavors. 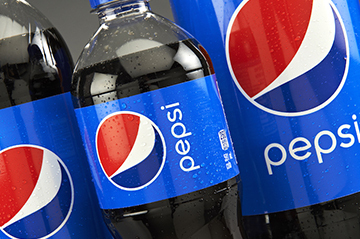 The redesign was a huge success as both retailers and consumers received the changes with great enthusiasm. 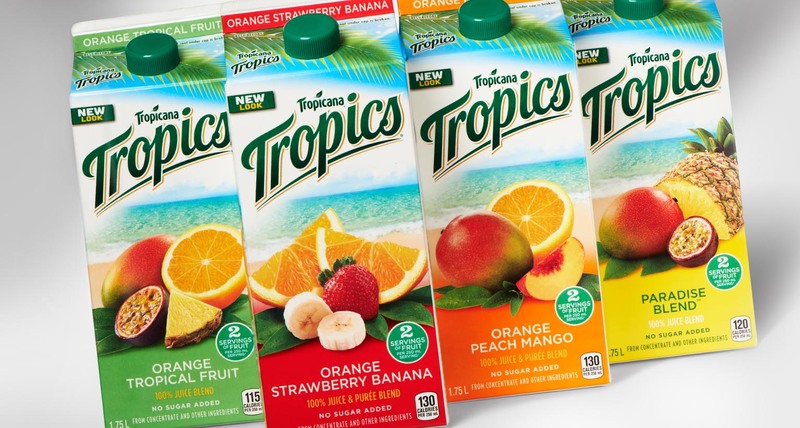 The brand has continued to grow market share in addition to meeting the design objective of creating greater differentiation from the Tropicana Pure Premium line of products.